Summer flowers bloom in the liberty garden to welcome the summer season to your home. 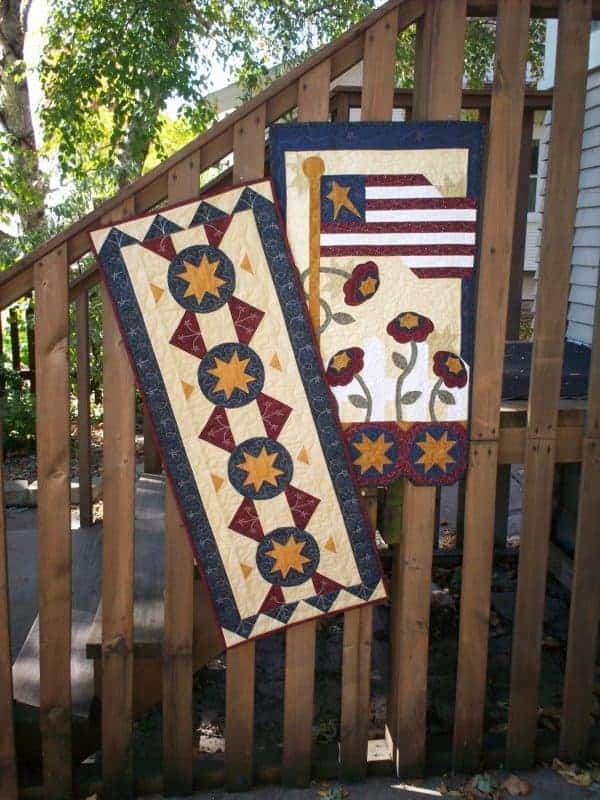 Appliqued stems and flowers climb a pieced flagpole and picket fence on the wall hanging, which measures 18″ x 32″. The table runner (16″ x 40″) is all pieced.